Fall of 2009 Quilters Connection Magazine: a magazine for Canadian Quilters written by quilters for quilters put out their first issue. I was so excited to get my first issue of this magazine, I’ve wanted Canada – someone out there to produce a magazine that all of us Canadians can relate too…we read so many awesome American and Australian magazines (that we will no doubt continue to read) and now we have our very own – thanks Heather McArthur. If you read about Heather and her mission for this magazine it is truly inspiring. I love so much about this magazine, from the way it’s laid out – so easy to flip through – I really think the colours are fabulous that she has incorporated as well as all of the content. Currently you can only purchase this magazine from local quilt stores and boutiques (there is a listing on the back page of the magazine – please visit her website for details & subscriptions. I will carry the next issue of the magazine as I’m advertising in it & she is featuring my cotton thread cones so stay tuned:) I will more than likely carry it on an on-going basis also just because I am so proud that we have it! 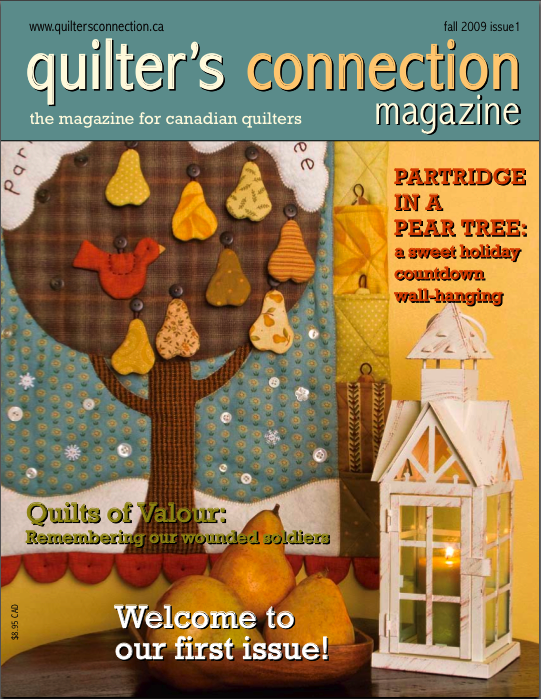 Our very own Quilters Connection Magazine for Canadians. She also features a “Show & Tell” page…if you have something you want to tell or show here’s where you can be featured for some special you’ve created – this issue is was on Cathie King (Pentincton, BC) Nice job on the portrait quilt Cathie!! She has a “favourite finds” page showcasing all of their favourites…some good books and ideas here. Quilt Shows and Events Listings…so far no Alberta Shows are listed…hmm we might have to fix that for the next issue. 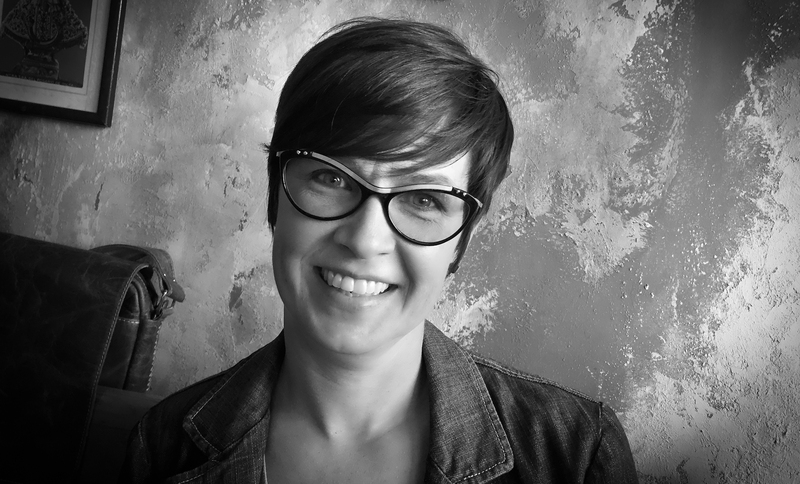 If you know of or are hosting a show yourself in Alberta – please email me your dates and times and I will add them into my Quilting in Alberta under Alberta Quilt Shows – also send Heather an email as well and she will add them to her list. Last but not least she also has a newsletter – you can sign up for it on her website here and it will be emailed to you – it’s a bi-monthly newsletter with some great stuff in it including a free pattern. Welcome to the first ‘official’ issue of Loose Threads, Quilter’s Connection Magazine’s newsletter filled with tips, techniques and projects to inspire all quilters. In this issue, we have a great article on labeling your quilt, a scrappy little fall project, a list of upcoming quilt shows, and a sneak peak at what’s in our Winter issue of the magazine, due out December 1st! I don’t think it can get any better than this – Quarterly Magazine…Next Issue will be ready to purchase Dec 1st-09, bi-monthly newsletter…it is twice the fun. Enjoy!! Glad you liked my article. Thanks for your kind words about it. I’m pleased to hear it’s been helpful for you. thanks for checking into my blog…love the comments. Yes, I did appreciate your article very much – I found so many of the tips and references very helpful – thanks so much!! Thanks for the great review Valerie! I’m so glad you like the magazine, and the newsletter. I am trying so hard to make this a magazine for all Canadian quilters – and quilters all over the world – and so I want to make sure that readers let me know what is good about the magazine, and what I can do better to improve it. I’m listening! And if your blog followers have any info to pass on to me – ideas for articles, quilt shows to list, amazing designers to feature, or anything else that relates to quilting in Canada, I want to hear about it! I will have to look for this magazine! It definitely will be nice to have a Canadian mag for Quilters :0 Thanks for your comments on my blog as well – mch appreciated!